Octavia lived at Larkfield in Crockham Hill. She was an ardent conservationist and fervently believed that communities benefit from access to nature and the countryside. A driving force and co-founder of the National Trust, she donated one of their first properties, the sunken well terrace in Toys Hill village. Her sister and co-founder donated Mariners Hill. Octavia is also credited with the concept of the Green Belt, and our local Ide Hill, Mariners Hill and Toys Hill became an early part of that protective circle around London. Today, thanks to the National Trust, some 300 historic properties and 250,000 hectares of land are protected for all us to enjoy. Octavia’s grandfather, Doctor Thomas Southwood Smith, was a famous early pioneer of sanitation reform. Among the people he introduced to the horrors of urban slums was Charles Dickens, who famously went on to highlight the scandal in ‘Oliver Twist and ‘Bleak House’. Southwood Smith was obviously a huge influence on his granddaughter too. A lady of vision, organizational skills and influence, Octavia persuaded wealthy individuals to help her lease and renovate several slum areas in London. These became the first of many small scale, but extremely well-managed, housing projects. Modest rents were strictly collected by trained volunteers, who provided advice and practical support. Good sanitation with access to open spaces, education and entertainment made the schemes popular with tenants, and the reliable rental income encouraged further investment. More and more slums were converted, and Octavia’s trained helpers became a model for today’s social worker. When Octavia later co-founded Britain’s Charity Organization Society, the same successful formula was applied. Today it is called Family Action and works with over 45,000 families a year. Following on from her social work, Octavia was keen to harness the energies of the nation’s youth and she set up the first independent Cadet Battalion.The concept grew, and today the Army Cadet Force has some 40,000 members. For an account of Octavia Hill’s co-founding of the National Trust, click on Octavia Hill and the National Trust. To find out about her work on housing and social reform, click here. 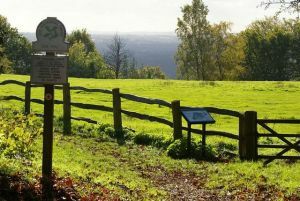 The East trail is a walk to the picturesque village of Ide Hill and her commemorative seat, passing Emmetts Garden on the way back. 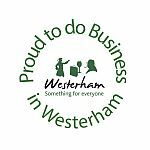 The West Trail takes you to Crockham Hill village and the church where she was buried, up to Mariners Hill and on past Chartwell, former home of Winston Churchill. 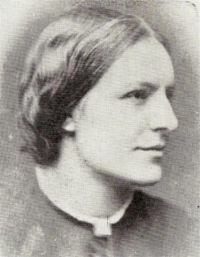 Founder of the National Trust in 1895, Octavia Hill was a social reformer, philanthropist, artist and writer. A remarkable woman, her vision has led to her being a major influence on our lives today. Take The East or West Trails, or combine the two for a figure of eight trail. For full itinerary see Walks and Trails.